The Rockies and the beautiful Aspens. I have to admit it – I love mountains, history and more specifically mining history. In the United States, Colorado is the epicenter of all three. The Gold Rush may have started in California, but the Rocky Mountains of Colorado outshine California in mineral wealth. Our tour is only a small sample of the beauty and history that awaits, but, gives you a good sense of some of the sights. We will start around the Breckenridge area, off of Interstate 70, and explore Leadville, South Park City and the Georgetown railroad. Then we will take a scenic drive south to the city of Durango and Silverton. Of all the mountain towns that were founded (1859) on mining, Breckenridge, in my opinion, is still one of the most beautiful. 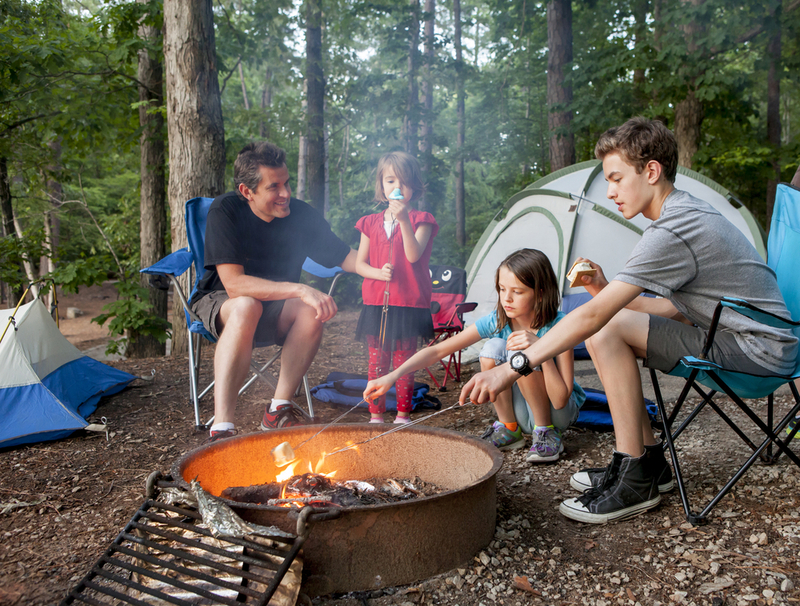 It is the perfect place to stay and launch off on day trips around the area. The town has wonderful shopping, nearby camping and is filled with buildings from the mining period of the 1800s. 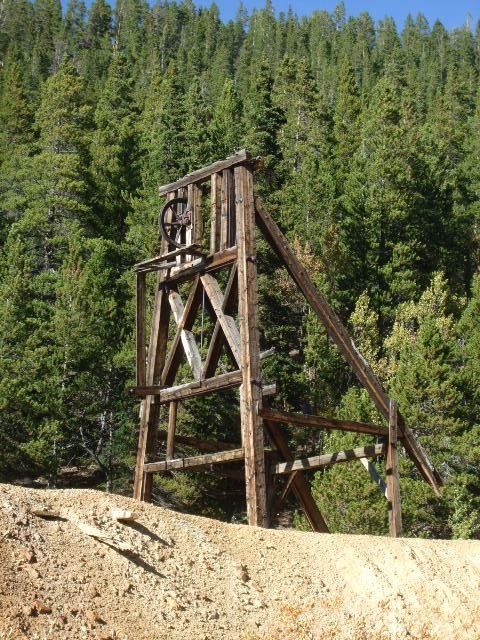 On one of our day trips we travelled from Eagle-Vail South on highway 24 to the high altitude mining town of Leadville. On the way you pass the 10th mountain Division training Camp Hale, built in 1942 and further up, the crazy high mining town of Gilman. Although Gilman is currently off limits to visitors, while we took pictures from a turnout at the side of the road, we discovered that next to us was a woman that grew up there as a child and was showing the site to a friend. Can you imaging a winter there, on the side of a mountain, at an elevation of 8,950 feet? If you travel South of Breckenridge, on the country road 9, you come to the town of FairPlay. The town’s name came from the 1859 settlers that were upset by the overly generous mining claims given to the earliest prospectors to the area and their town name was a promise of a more equitable system. 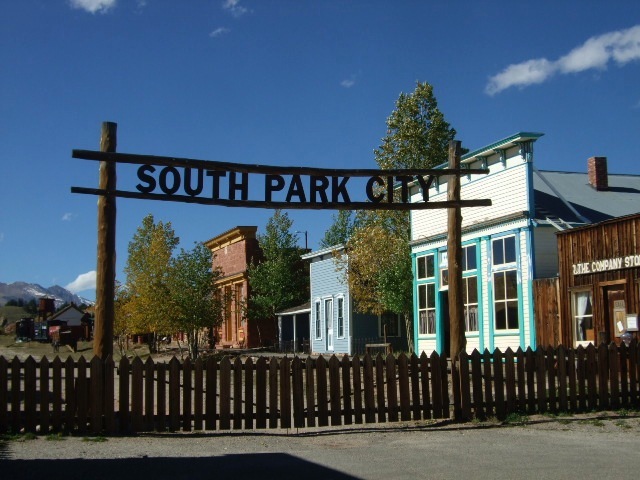 Located in the town is an open air museum, South Park City. This is a most charming small town museum and much love and effort has been put into it. Thirty five original building have been moved to the location and are filled with artifacts from the 1800s period. As you wander the dirt streets and wooden sidewalk you can feel the spirits of the people that inhabited the area. No western adventure would be complete without a ride on a steam train. What about a steam train you ride to and from a mine tour deep into the side of a mountain? Pure brilliance ! Your adventure begins in the former 1859 mining camp, turned town, Georgetown. 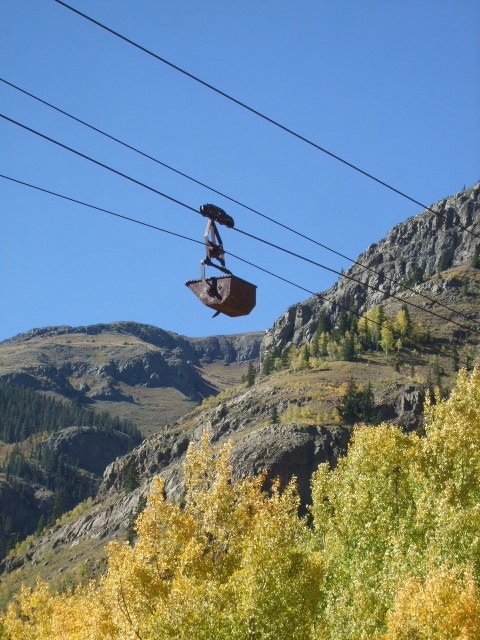 The town is easily accessible, located off of interstate 70, in the Clear Creek Canyon, only 50 minutes west of Denver. The town is all walkable, with shops, restaurants and historic buildings. Devil’s Gate High Bridge, Georgetown Colorado. 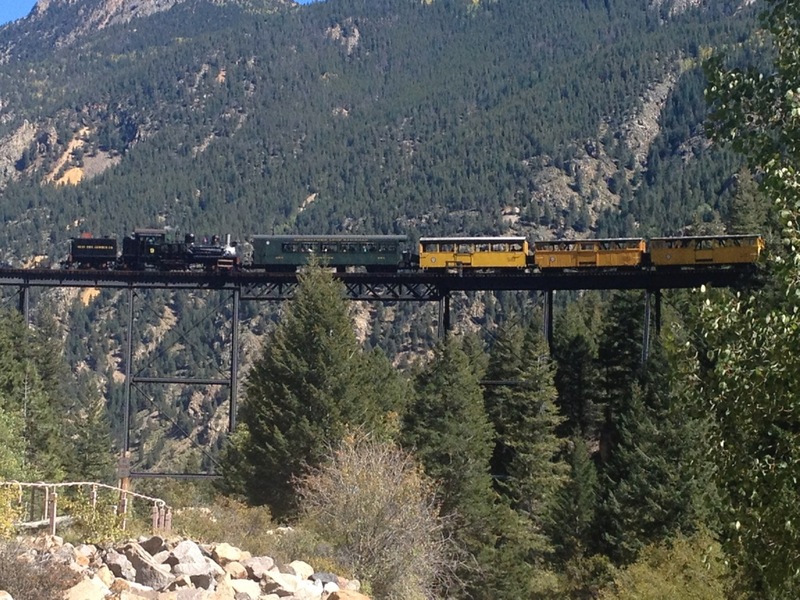 The Georgetown Loop train station is on the North side of town and is hard to miss – just look for the Devil’s Gate High Bridge! 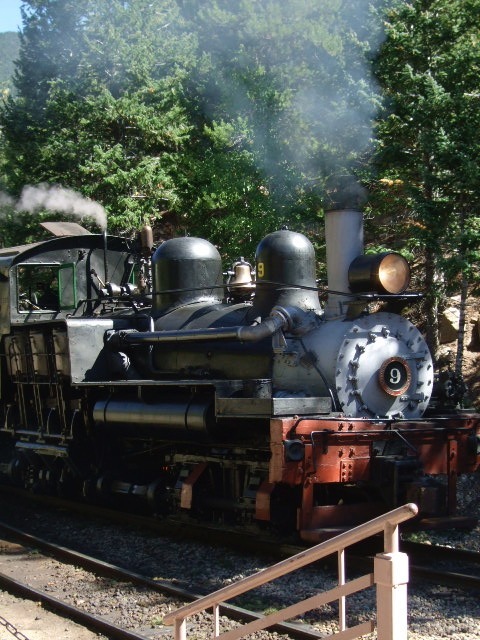 The ride travels two miles to the next town of Silver Plume and back, but due to the contraints of the tight canyon and the elevation to be gained, the train takes just over three miles to travel this same distance. Steam Engine, Georgetown Loop Railroad. The railroad started operation in 1899 and stopped regular service in 1938. The cars are currently pulled by Steam Engine number 9, built in 1923, or by Diesel Locomotive number 1203 (built in 1947) or 21 (built 1940s). Be sure to check the schedule online or call if you wish to catch the scheduled steam service. Do not miss the add on tour of the Lebanon Silver Mine taking you 500 feet into a 1870s tunnel! Founded in 1877, Leadville is at an astonishing altitude of 10,152 feet. During the boom years, over 82 million dollars worth of silver was removed from the ground in and around the town. Besides containing more amazing original buildings, Leadville has one of the greatest mining museums, the National Mining Hall of Fame and Museum. For a museum junkie like myself, you can spent hours here exploring and immersing yourself in the mining technology of the past and even present. Pictured below is one of the fun dioramas (can you ever get enough dioramas?) of an ore processing mill. 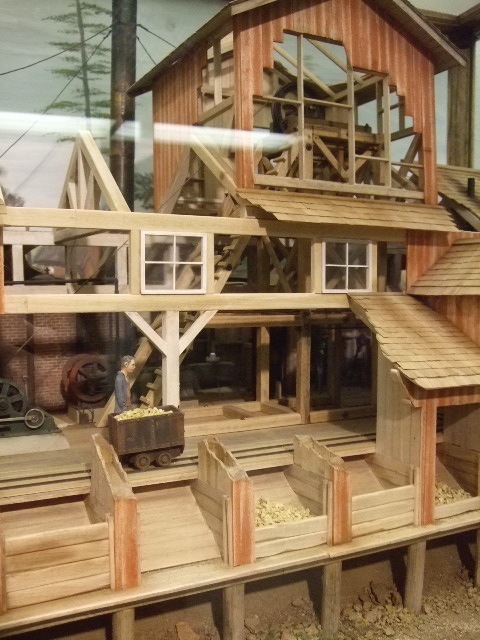 Model of a mill located at the National Mining Museum. When you drive into the hills above the town you can view what remains of the once abundant surface works. The first stop I would suggest is the charming Matchless Mine tour. I don’t know about you but I love small town museums, tours or attractions where it is obvious that some love and care is put into them. The Mine, itself, is part of an amazing story of rags to riches and back to rags for it’s owner, Horace Tabor. The Matchless was Mr. Tabor’s first mine as sole owner and at one time it was producing $2,000 a day in silver. In the end, it was lost as part of his 9 million in wealth and after he died his widow, Baby Doe, lived in the small cabin on the grounds till the day she died. This was another 35 years ! The tour consists only of the above ground works, but gives you a good idea of what it takes to operate a small mine. 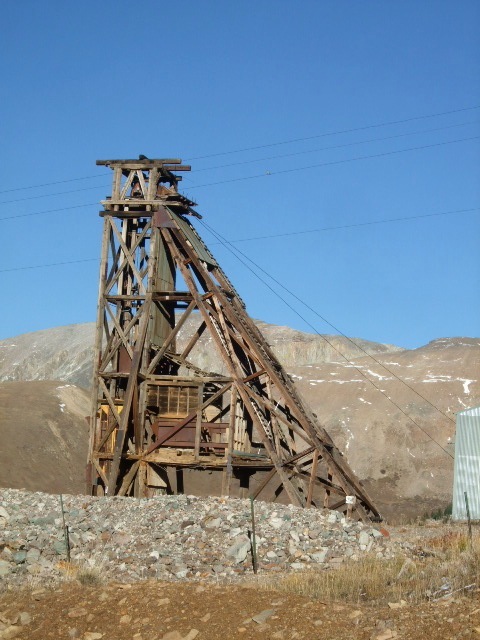 The Matchless Mine is at the start of a self guided driving tour, Route of the Silver Kings. This drive through 20 square miles of the mining district, includes 12 stops and gives you interesting information on the mines, camps and characters. Wood Head frame with pulley. Along the tour you can see many of the head frames still standing, some made of wood and others of metal. 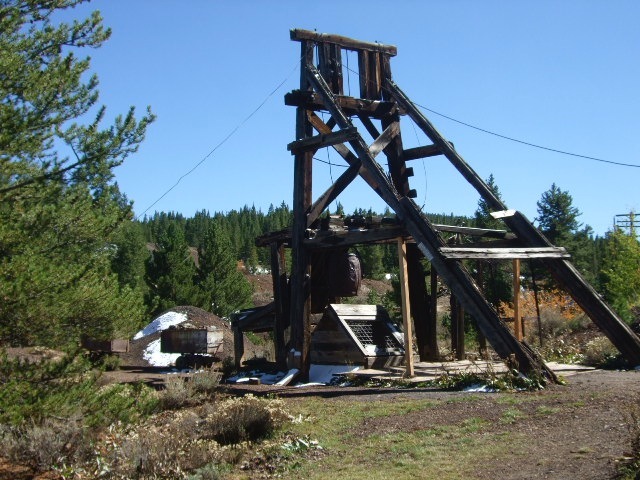 The head frames are set above shafts and were used to both pull men and ore out of the mine. Large head from with elevator still attached. Some of the works still have signs of the tracks upon which the ore cars move upon. At the end of this track was an ore bin used to store the material before it was processed in the mill. If you look carefully, you can find some of the ore, sometimes with the gold visible. 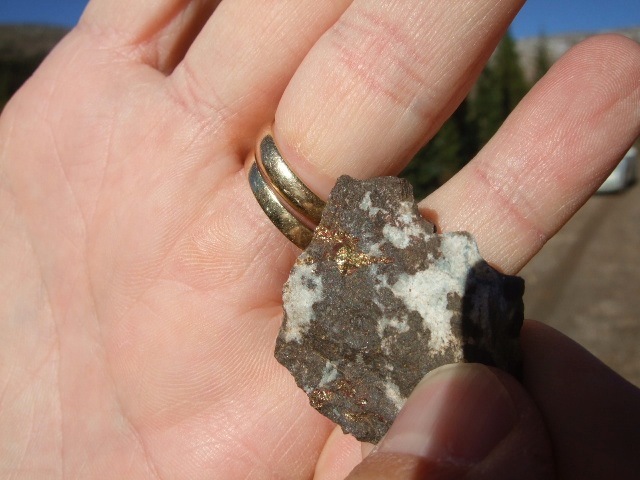 Gold is much of the time found with quartz. Often times the gold contained within is so small it cannot be found by the naked eye. Then again, sometimes it can be seen! Before and After – Rock to Ring…. If a walking- biking tour is more your style, try the 11.6 mile Mineral Belt Trail which loops through the town. In the wintertime it is an excellent cross country ski route. 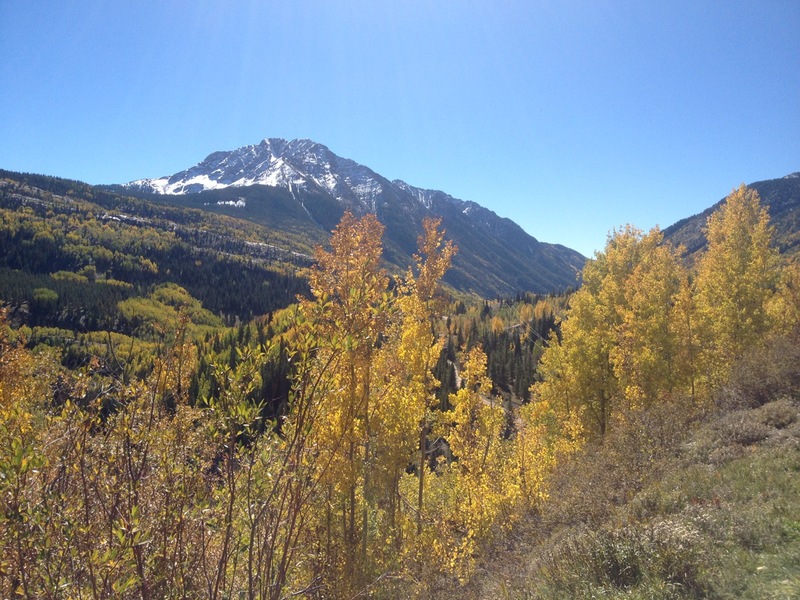 After visiting Leadville, we traveled down to Durango on a beautiful country drive. South on highway 24 you travel through a long valley past the mountains of Mt. Elbert, Harvard and Antero. The road becomes highway 285 and at the town of Monte Vista, we turn to the West on highway 160. 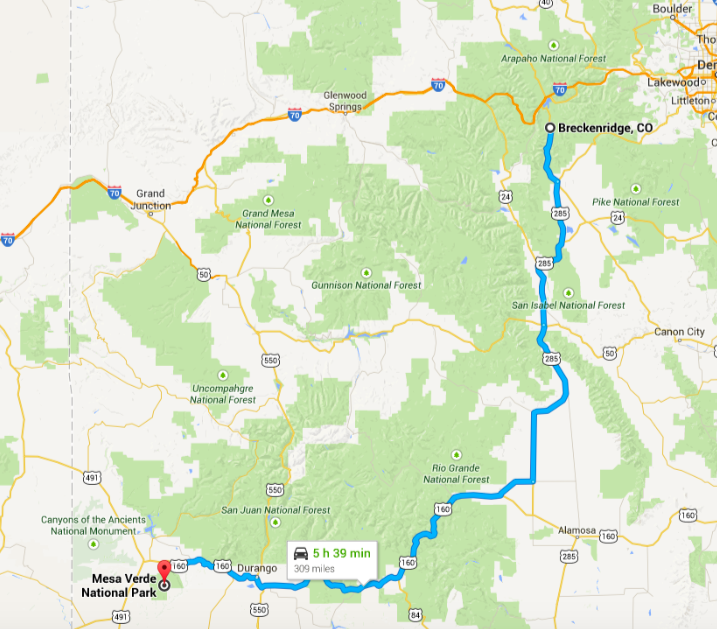 Before reaching Pagosa Springs, the road descends through an amazing green valley, with a couple of small lakes. 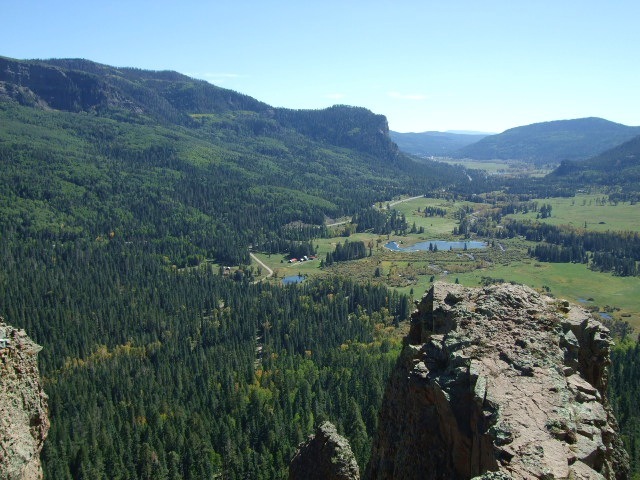 Highway 160 takes you into the beautiful town of Durango. Known for old buildings and the world renowned Durango & Silverton Narrow Railroad, Silverton is a wonderful place to spent a few days exploring. 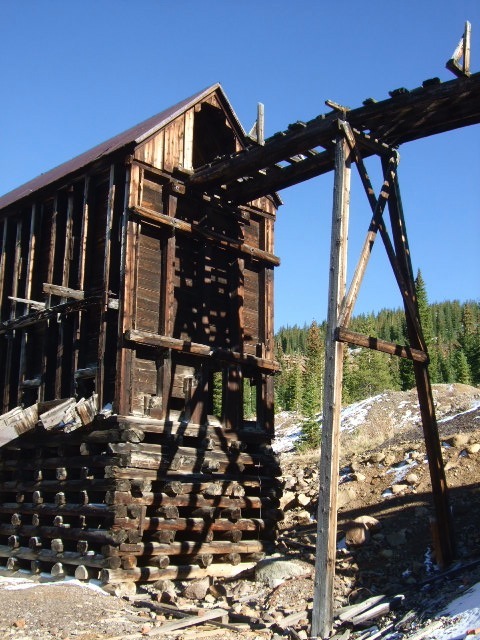 One of the fun day trips to make out of Durango is to Silverton, the end of the line for the railroad, an 1874 silver mining camp located at 9,308 feet. As you drive you parallel the track and if you time it right you will get some stunning views of the train as it winds its way up the canyon. 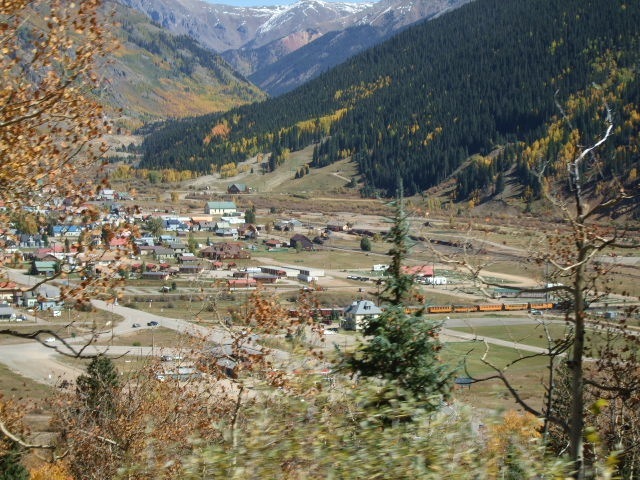 Town of Silverton with the steam train visible at the station. If you take the road to the North out of town, you enter an area of extensive mining and other works including the still standing Mayflower Mill. This road is the start of the off road Alpine Route, 63 miles of amazing trail on a former wagon route for the mines, and passes through seven ghost towns. The trail can be exited at the mining town of Ouray, or you can go there by the paved highway 550. Either road will leave you breathless. Still hanging tram line over the road. 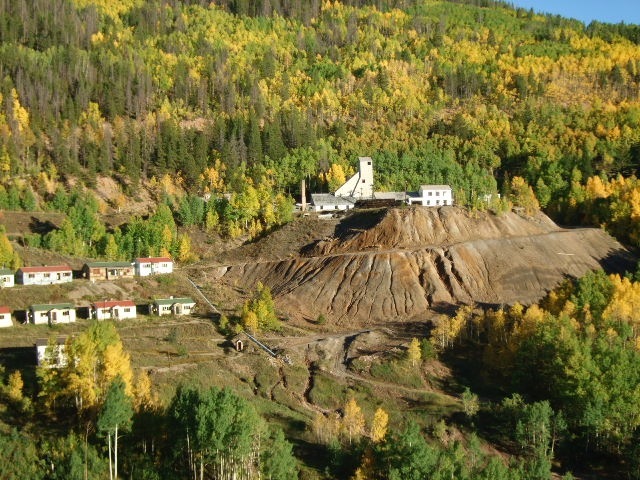 Another fun mining museum can be found in SIlverton, the Mining Heritage Center. 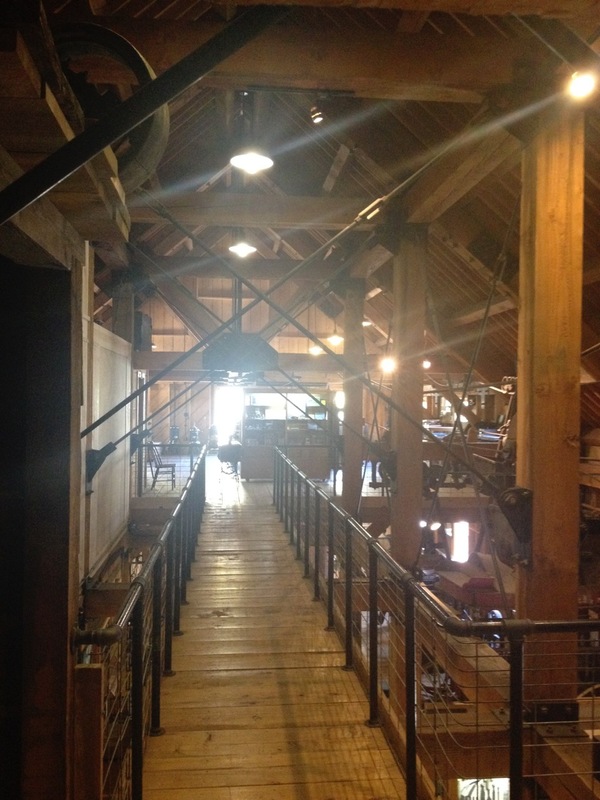 The building has an interesting interior structure made to look like the interior of a mill. There is am amazing amount of mining technology on display. Mining Heritage Center, Silverton. Built to look like the inside of a mill. If you continue West on highway 160, don’t miss visiting Mesa Verde, part of the National Park system. This site protects and preserves over 600 cliff dwellings, occupied by the Ancestral Pueblo people between the years of 600 to 1300 AD. 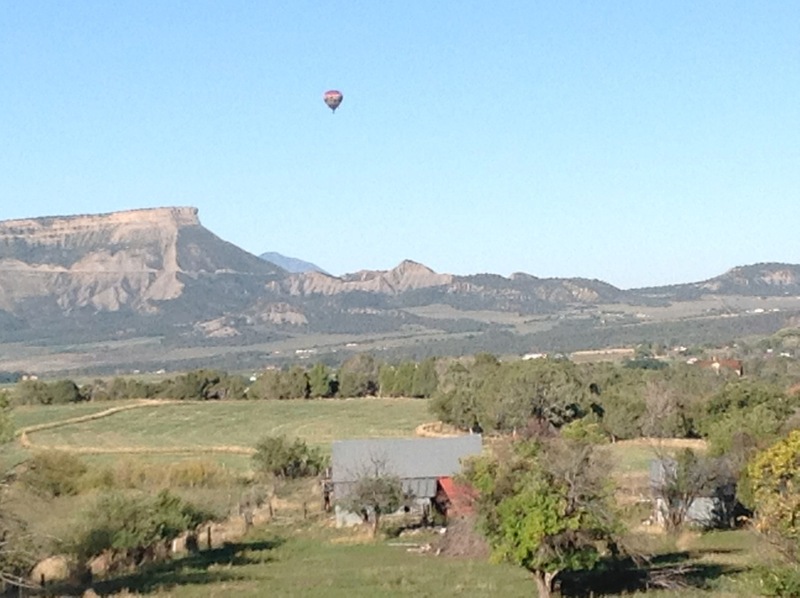 View of Mesa Verde from the town of Mancos, with a hot air balloon floating nearby.